Theatre Re-Opening - Hull Trinity Backpackers - Make a Booking Now! Hull Trinity Backpackers Theatre Re-Opening - Hull Trinity Backpackers - Make a Booking Now! It has now re-opened after a £16million refurbishment. We look forward to welcoming customers old and new to see our incredible transformation. There is a new café bar located in the stalls downstairs offering light meals and snacks. The new circle bar upstairs will be open before performances and during the interval, to book a table please contact 01482 614304. Hull New Theatre opened on Saturday, October 16, 1939 with Noel Gay’s ‘Me And My Girl’. The theatre’s existence is down to Channel Island born Peppino Santangelo. Peppino came to the city in 1924 to join the Hull Repertory Company based at the Little Theatre in Kingston Square. After turning the struggling company around, Peppino turned his attentions to the Assembly Rooms next door. The Assembly Rooms were where great writers of the Victorian age had given readings, such as Charles Dickens in 1859 and 1860 whose visits are remembered by a blue plaque on the building. Peppino thought the venue could be a new home for the company. At the same time, he realised that the Little Theatre’s other neighbour, Hull Central Fire Station, needed more space. So Peppino suggested swap – the Little Theatre for the Assembly Rooms – and the deal was done for £9,000. Performances continued throughout the war when West End productions arrived to escape the bombing in London. The theatre bar was reinforced as a bomb shelter and the building received only one direct hit, in May 1941. This destroyed the front row of stalls and all the props and costumes of the visiting Sadler’s Wells Opera Company, now English National Opera. The theatre was bought by the Whitehall Company in 1951. Television meant audience numbers were down so bingo was introduced. The game was very popular and in 1961, a bingo agency attempted to buy a 99-year lease for the theatre. The bid was blocked by petitions and Hull City Council stepped-in to buy the theatre and secure its future. Today, a huge £15.9m revamp of the venue has now been completed. The work, is the biggest project undertaken in the theatre’s history. There are major improvements to backstage areas including a new fly tower, used for scenery, lighting and stage effects. 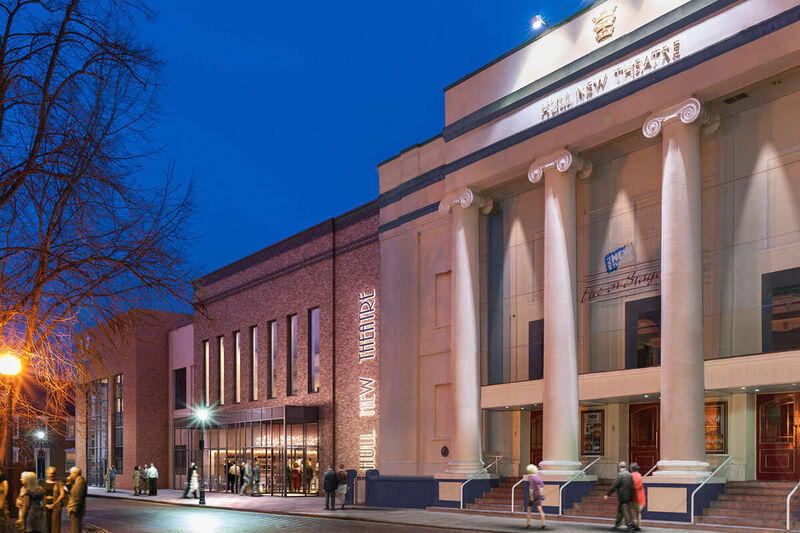 These improvements will allow the theatre to stage bigger, more ambitious shows, in line with its reputation as one of the leading touring theatres in the UK. There are also more seats, a new cafe/restaurant, two new bars and an extra space which can be used as a performance area or for business, private hire or community use. To make room for a large extension to the side, part of Hull Central Fire Station has been demolished, 79 years after the station’s need for more space gave Peppino the opportunity to found the theatre. Welcome to the city of patties, rugby league, extensive maritime history, rivers Humber and Hull, ten-foots, Hull City Football Club, bains and lots more you’ve probably never heard of. Oh, and the City of Culture 2017!